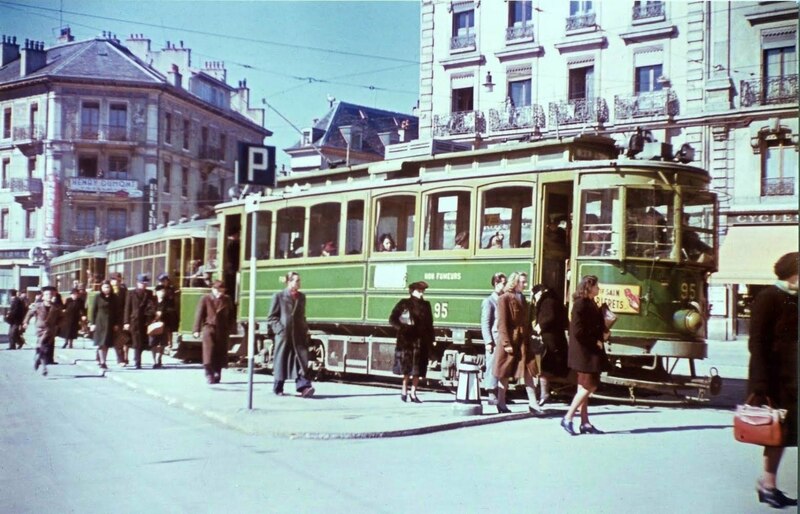 Colour photos of Europe prior to the 1950s are rare, particularly ones which feature transport. So we thought we would share this photo of Geneva with our readers, taken in the Place du Cirque. One notes the tram has separate saloons for fumeurs and non-fumeurs (smokers / non-smokers). Thanks to Google Streetview, we can see how the same location looks now. Although trams have gone from this street, they still exist in the nearby Boulevard Georges Favon.